I recently had an epic trip to Australia, travelling to see family and also taking the opportunity to take plenty of photos and videos. But all my gear, complete including a drone, still weighed less than two kilos. It even fitted in my tiny 15-litre backpack which was already filled with baby changing gear (that’s a whole another blog article right there!). So, how did I make this set up work? First up, the obligatory “kit laid out” picture. 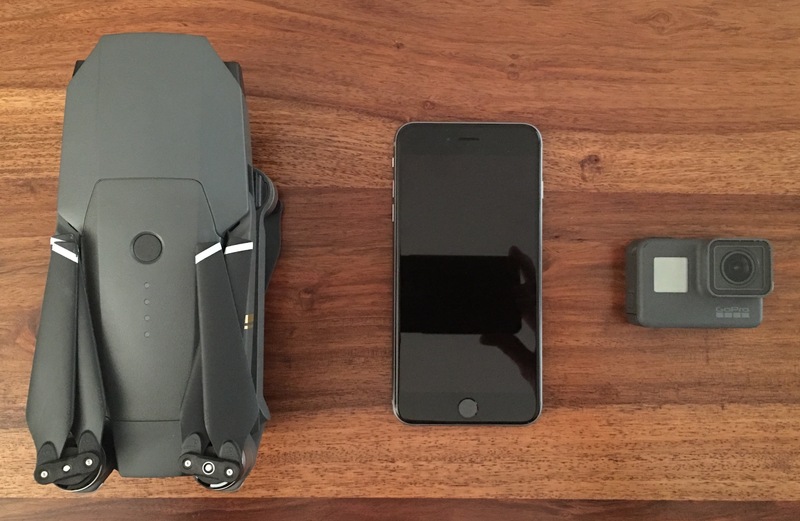 I took a DJI Mavic Pro – a truly revolutionary piece of photography equipment; an iPhone 6s Plus, my weapon of choice; and a GoPro HERO5 Black. That’s it. Controversially, my Nikon DSLR stayed at home, and I only took a few ancillaries to add to the three devices. Why no “proper” camera then? Well, honestly there are three main factors here. Firstly is that I wanted to go really light with my scales. Portability, when you’re already travelling with lots of other unrelated luggage to the other side of the world, was absolutely key. Second was my skill as a photographer. 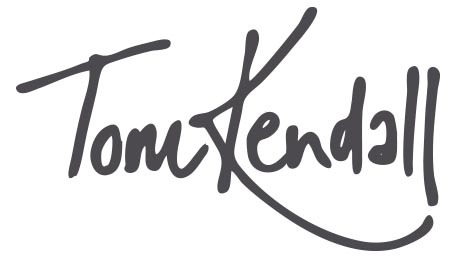 My interest in this business, whilst burgeoning, is still in its infancy so I wanted to use kit I know, have got to grips with and can trust to capture what I have in my mind’s eye. As I leave my DSLR on ‘auto’ most of the time, I took the hit on the benefits such as zoom and raw image capture, ditch the extra weight, and decided I would try and ‘up my game’ with what I knew I could capture on the iPhone (NB: I also really rate smartphones and contrary to what a lot of people in the industry may think, I feel they’re the future in one form or another). Lastly, I was not taking a proper tripod to mount my DSLR on (…see point one). I will become more adept with the DSLR and will learn more about how to get the best from it – just not on this particular trip. To be clear, I do believe in taking a tripod with you when out shooting. I am absolutely not advocating trying to go on a photo shoot or similar without a tripod. But it was impractical to take such gear on a family holiday; so I decided my GoPro and iPhone would be stabilised by the Joby Gorillapod I own, thereby cutting down on tripod weight. 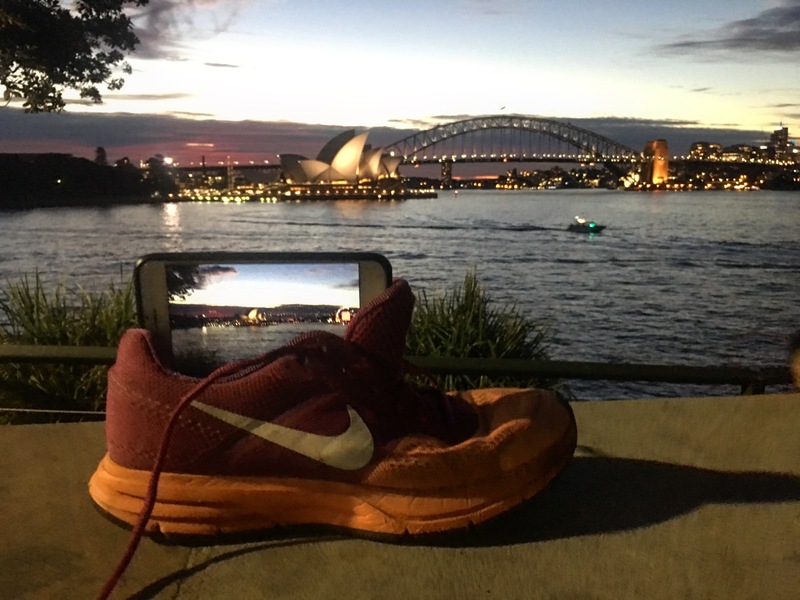 There are other tricks too – I found myself photographing Sydney Harbour at night without said gorillapod, and discovered that a training shoe has exactly the right width to hold an iPhone steady. You heard it here first! Post-production can also hide a lot of sins. 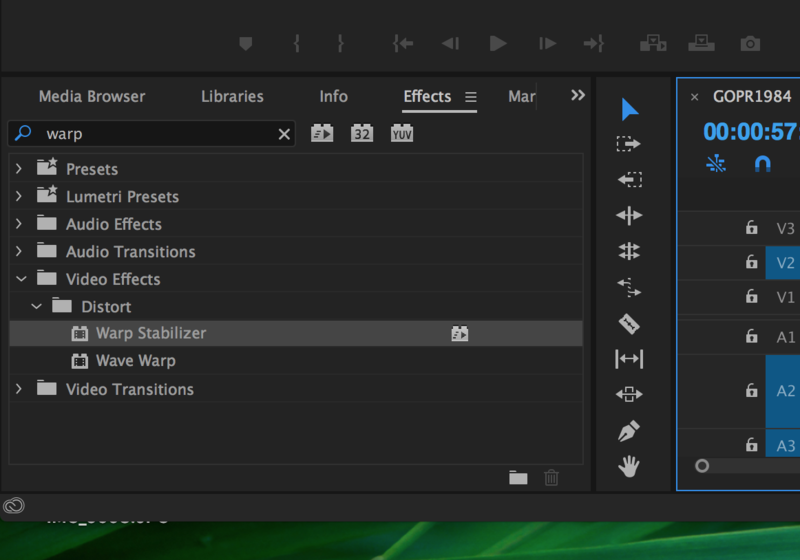 The ‘warp stabilisation’ feature of Adobe Premiere Pro CC can smooth out your video and make it appear like it’s been shot on a tripod (it’s not ideal as images are cropped slightly, but good to know nevertheless). It can be adjusted for different levels of wobble, or taken off completely if you actively decide the hand-held aspect suits your piece. What else have I learnt? Well, if in doubt don’t be too cautious. Record it anyway. Experiment. Try, and fail. Crucially: be ok with that failure. There may be positives to your clip or shot that you don’t recognise at the time. Or, maybe even just two-seconds of it works. I experienced situations where the natural light was really bright so what I was seeing on my glass display wasn’t totally visible, so I wasn’t sure it was quite right, or I had time pressure to record something when my main focus was (rightly so) on other or family activities. I had to adjust shots on the fly because someone walked in or the situation changed, for example. They’re all learning points. You might not like the shot at first but upon review you might feel it works. If not, then nothing ventured nothing gained – learn from it, delete it, move on. That links nicely to my next point about speed. Sounds like a no-brainer, but your stuff ready to use as quick as possible. 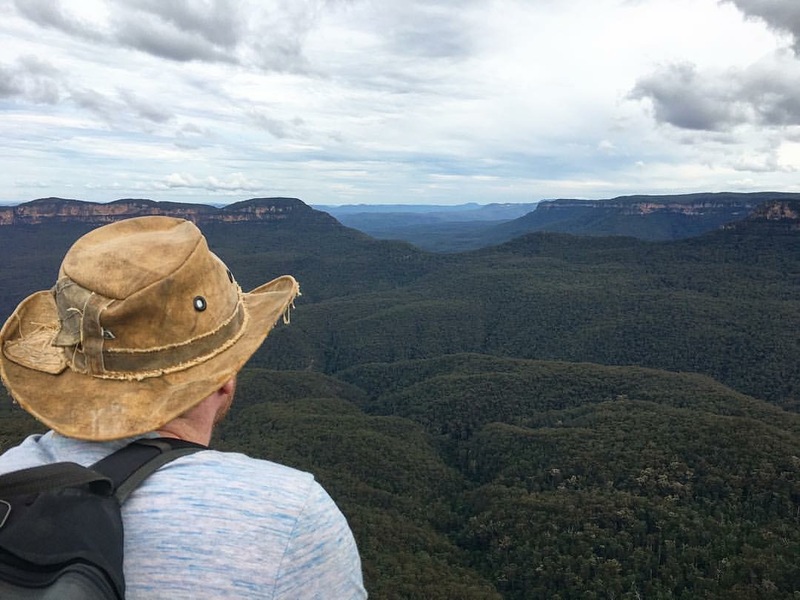 Whilst I was trekking in the Blue Mountains, I had my GoPro chest mounted, which left my hands free for climbing, and also to grab my iPhone stowed in my trouser pockets. If I wanted to use the GoPro I would either use it in the chest position, or quickly detach it if necessary. The drone was stowed in the top of my pack and took seconds to get in the air once I had ID’d the right take-off site. Prepare. I was away with family and did not want to detract from family days out for my hobby. Therefore, I found or devoted the right time. On more than one occasion I got up before dawn to go fly the Mavic, which had loads of benefits: the dawn light was really good, there were less people around to interrupt or get in the way, and my family were still in bed so I wasn’t competing for time. Plan and prepare: make it work for your holiday or time away. Another thing is the mindset to be able to adjust as conditions unfold. 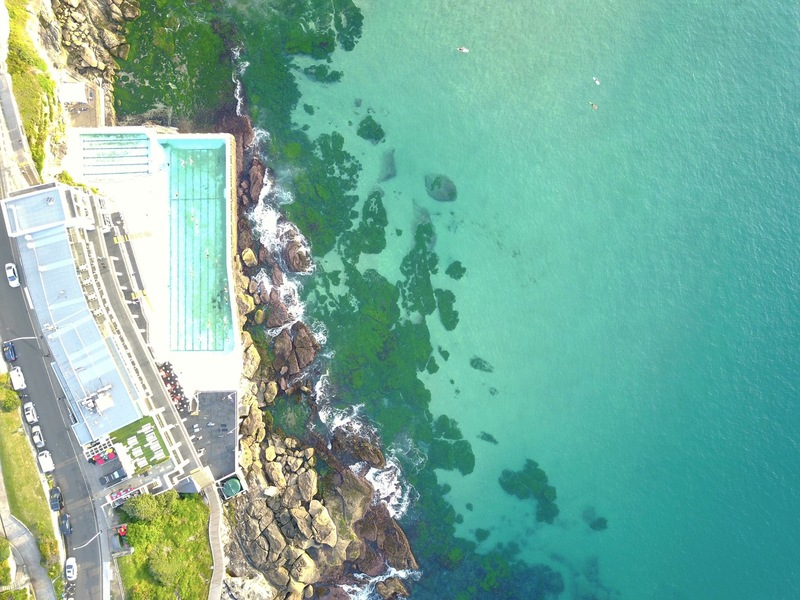 Before I left, I knew what footage, including aerial footage of Sydney I wanted. I largely achieved this, but had less time for some things than I originally thought. 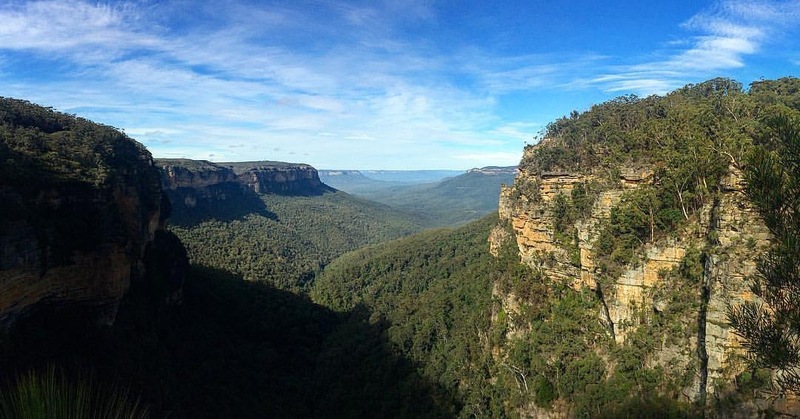 I also couldn’t gain permission to fly in Australia’s national parks. All this has affected the footage I got and thus the pieces I will ultimately produce. It isn’t a failure – just a change in circumstances that can be compensated for with the right attitude. 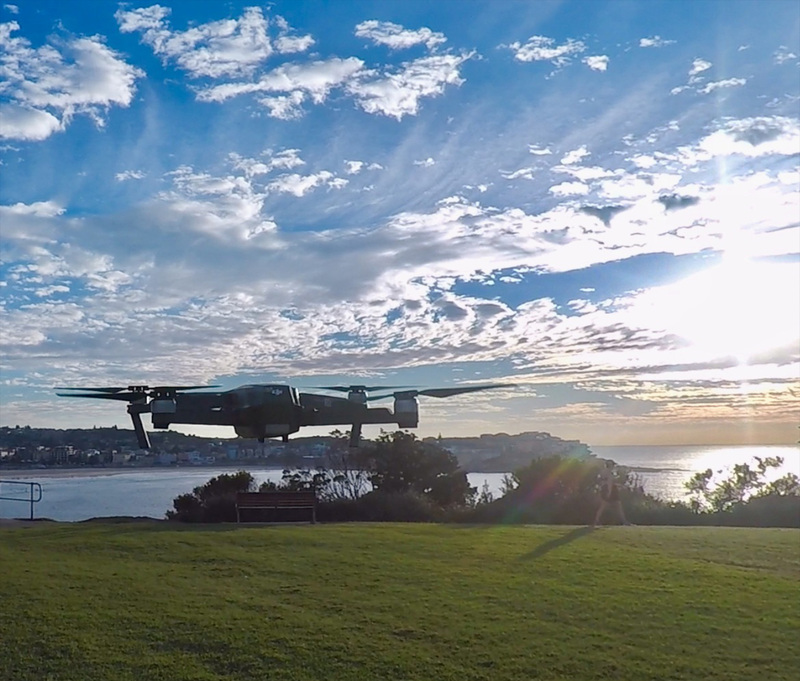 Finally, if anyone reading this wants to fly your own drone abroad, then I have a few hints and tips to make sure that all goes smoothly too. It’s vitally important you read up on your airlines’ own carriage rules. Drones and Lithium Polymer batteries are more commonplace now, and most airlines stipulate rules that batteries must go hand luggage. Lithium Polymer batteries ought really to go in a LiPo bag – cheap and widely available (got mine on Amazon for about £5). Preferably take your drone in hand luggage too. Your batteries ought to be at least 70% depleted too to reduce fire risk. I also had my insurance docs in case of tricky questions (hobbyists and pros alike need varying levels of cover). Lastly its imperative you check the airspace law and ‘drone code‘ of the country you’re visiting. All easy enough, and worth it for those all-important exotic shots! 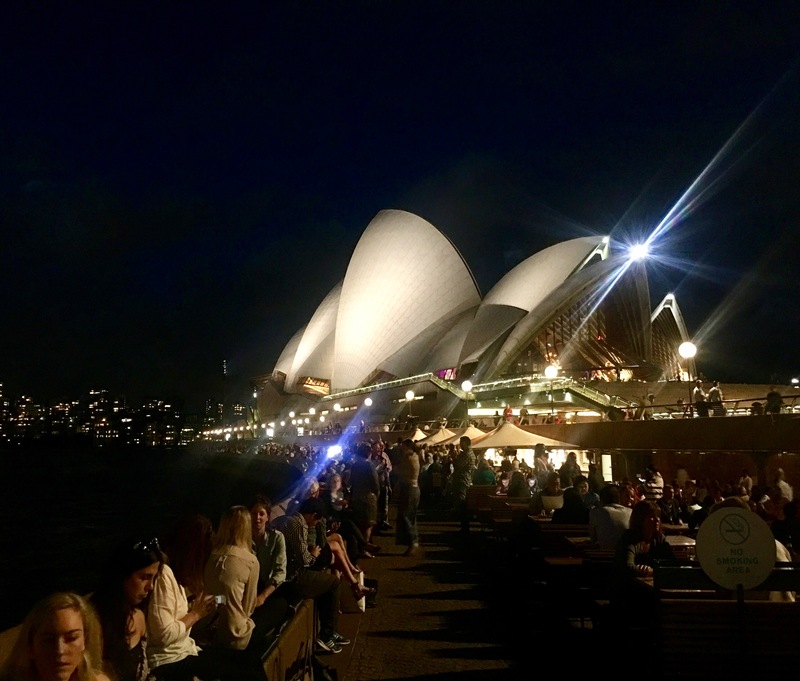 Right, I know you have all just skipped to the bottom of this to see my Sydney video reel, so here it is!